They are green when winter snow is white. 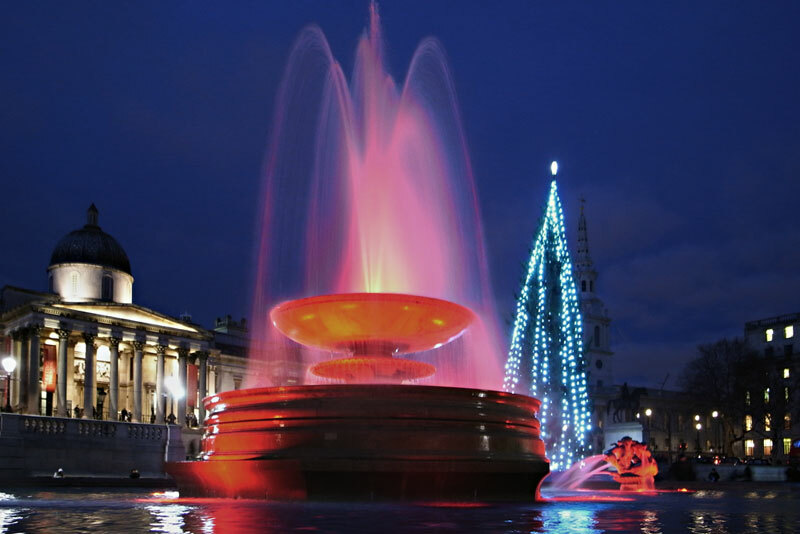 The Christmas tree at Trafalgar Square is an annual gift by the city of Oslo, Norway to London, since 1947, in gratitude for Britain’s support during the Second World War. I grabbed this photo from my favourite spot on the square, at the western fountain, looking back at the National Gallery on the left, and St Martin’s in the Fields church, partly hidden behind the tree.